Christmas has to be the most exciting time of year to The Whos. They do big decorating and celebrating to everyone except for one person: The Grinch. 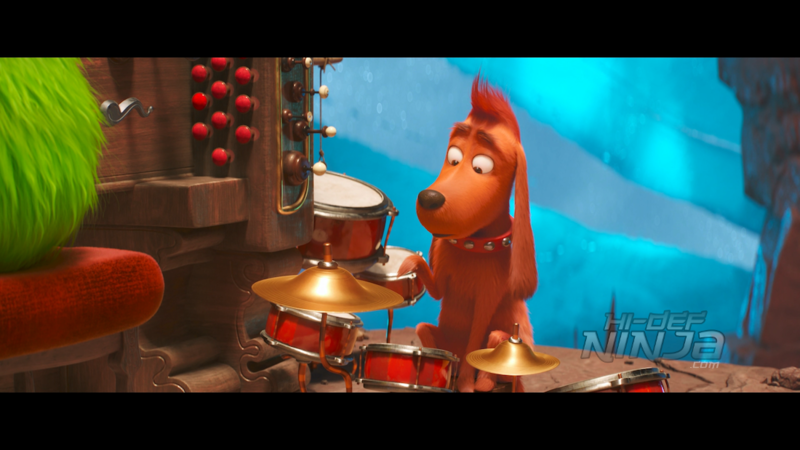 He lives with his dog Max in the top of Mount Crumpit and tries his best to avoid Whoville as much as he can. Being his only source food, he has to visit from time to time to stock his pantry and even though he planed his food out to avoid town at Christmas, he has no more food. Unfortunately, this means a visit to Whoville. While there, he runs into a little girl named Cindy Lou and she divulges that she wants to send a letter to Santa. The reason she needs Santa is that her mother is overworked and has to take care of Cindy plus her twin brothers. 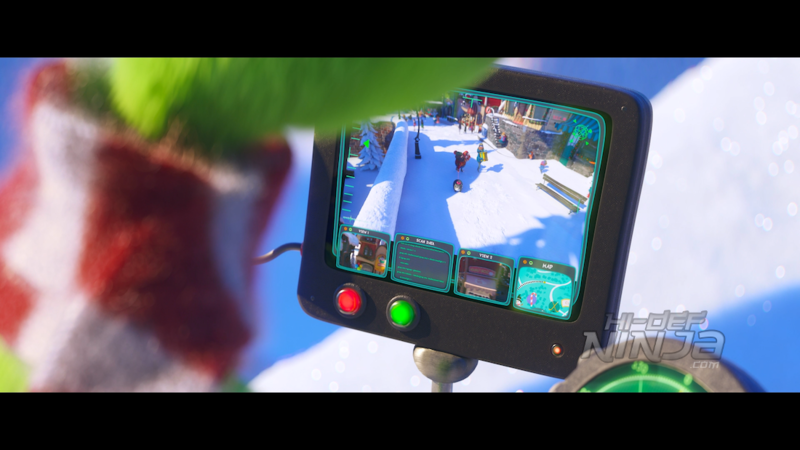 The Grinch tells her that an ask like that is a face-to-face type of thing so she needs to capture him when he gets there on Christmas. 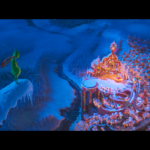 THE GRINCH is directed by both Yarrow Cheney and Scott Mosier. 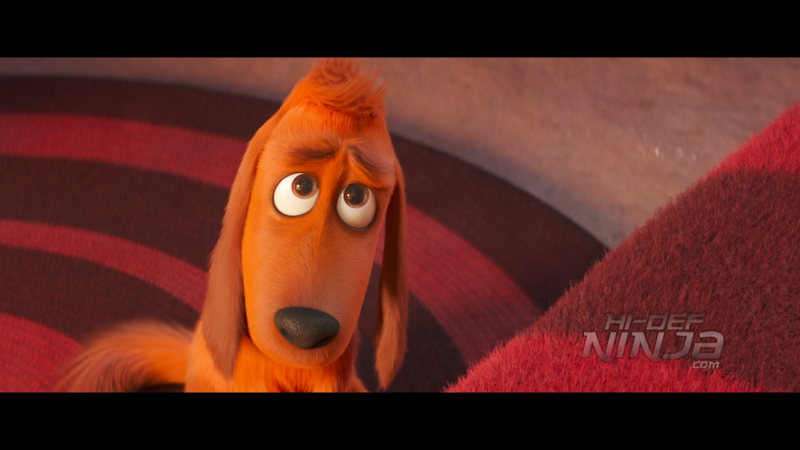 Cheney has worked in animation before by co-directing THE SECRET LIFE OF PETS. As for Mosier, he has produced a number of films both animated and live-action. With this, they have taken the screenplay by Michael LeSieur & Tommy Swerdlow plus the source material from the Dr. Suess’ book and sort of updated the movie from the 26 minute Christmas special from 1966 or the live-action Ron Howard version from 2000. 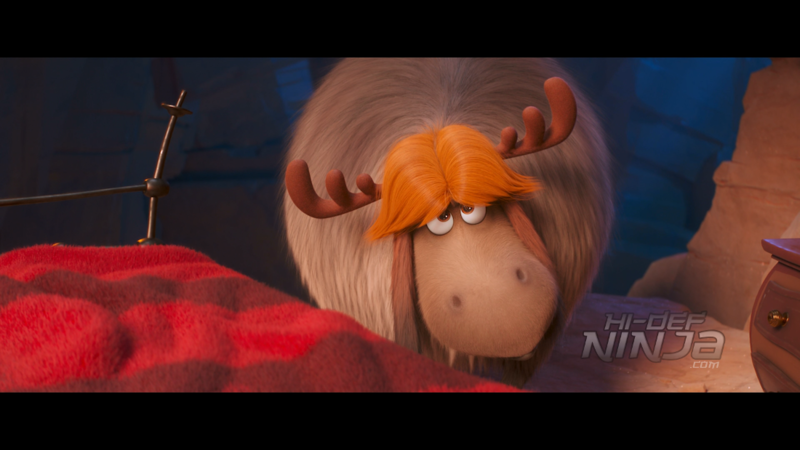 It has that humor on the same level as the other movies from Illumination. 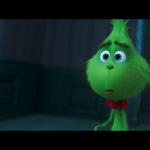 Getting Benedict Cumberbatch to voice The Grinch just works. 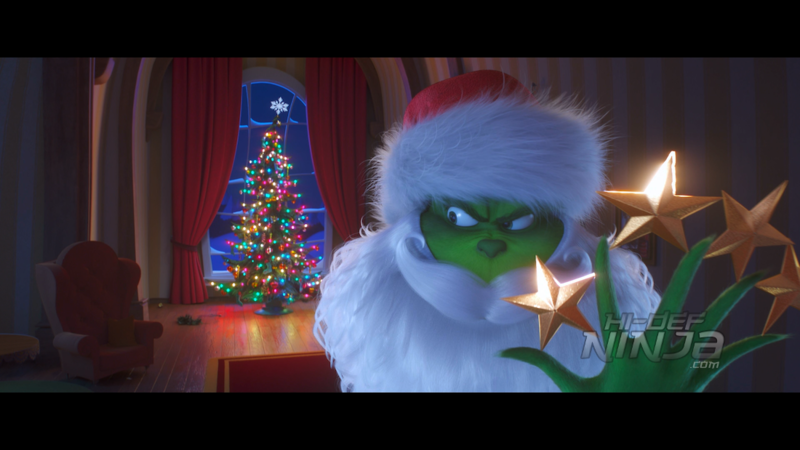 The snarky attitude that he has in previous roles help mold The Grinch’s disdain for the entire town plus the holiday. In his mind, he is better than everyone else and comes off like he is a ruler from up on high. The video is a 2160p HEVC presentation and it makes the animation look incredibly clean. The Whos fur and hair can be seen individually at all times. 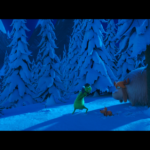 Being covered in fur, The Grinch has hair that moves both realistically and naturally. Other textures like skin and fabrics have sharp details to them. It just lends to making objects feel more realistic. 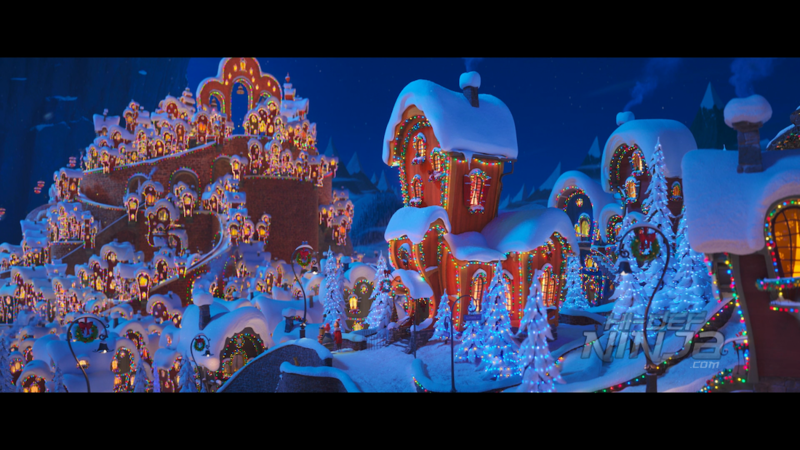 The coloring is bold in all colors, especially in the Christmas lights throughout the film. 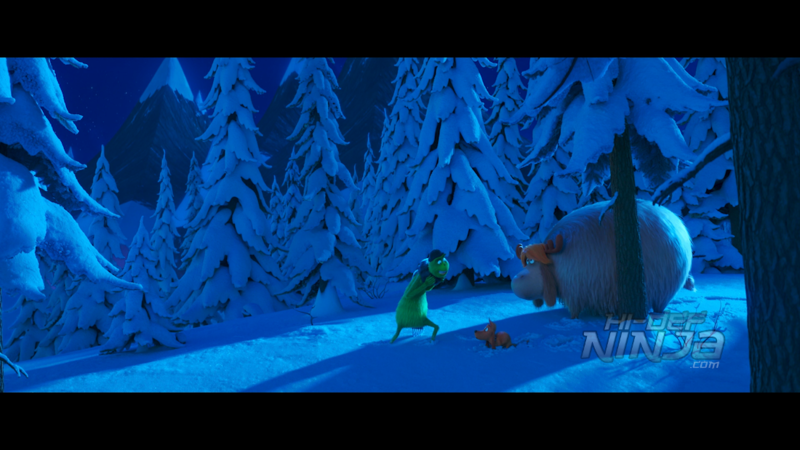 Also, the bold green of The Grinch may lessen in shadows to a darker shade but still maintains its brilliance. Snow changes color realistically depending on the lighting and time of day. The audio is a Dolby Atmos mix that will default to a Dolby TrueHD mix depending on your setup. The overhead speakers do well with the music so that it feels like a nice layer over the movie. Elfman’s score adds to the life of the movie and really helps with the tone. 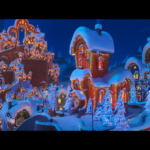 One scene that also fills the speakers is with the carolers that feel like they are coming from every direction. Effects like the loudest snow ever has a nice crunching sound. 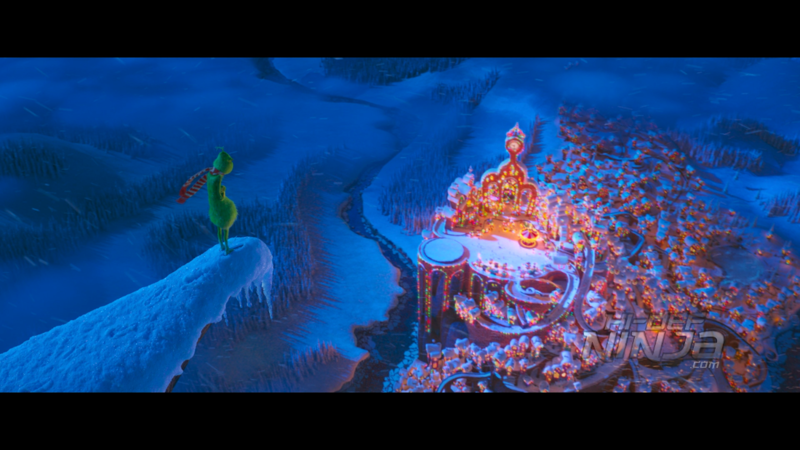 Other action effects such as the sleigh in motion and the opening with the flight over the waterfall have sweeping, smooth audio. Voices and dialogue are prioritized very well with the effects as well as the music. The Dog Days of Winter: The Grinch is feeling under the weather and Max needs to get him the remedy. Santa’s Little Helpers: Santa has some new elves that aren’t elves at all. 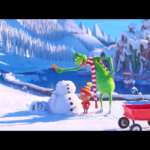 -The Making of the Mini-Movies: This is a look at what it takes to make the mini movies and how they allowed new talent to bring them to the screen. -From Green to Screen: This has some interviews with the cast and crew about bringing the film to the big screen. 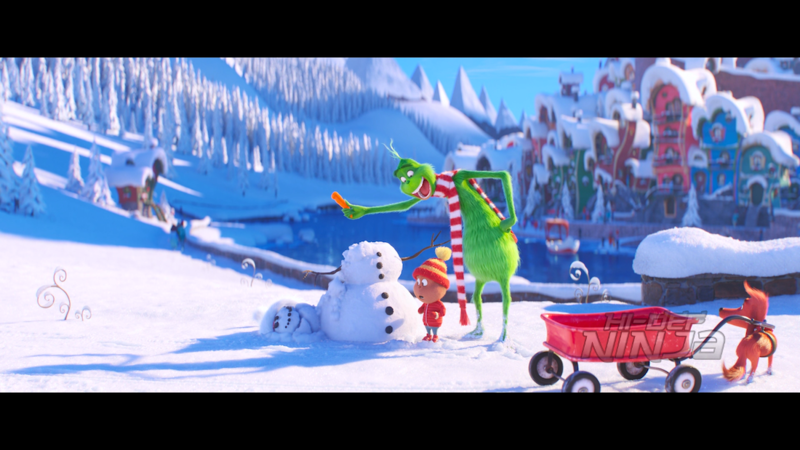 -Illuminating The Grinch: This shows how the filmmakers brought Mr. Grinch as an animated film from the source material. 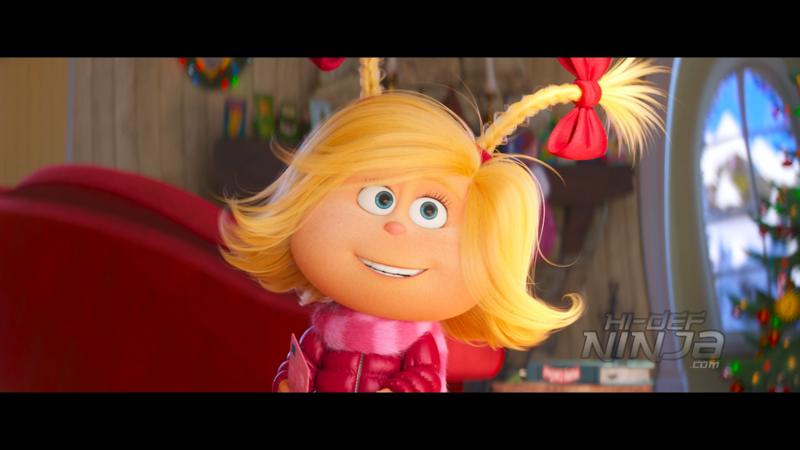 -Who’s Who in Who-Ville: This is an extra to learn more about the characters. 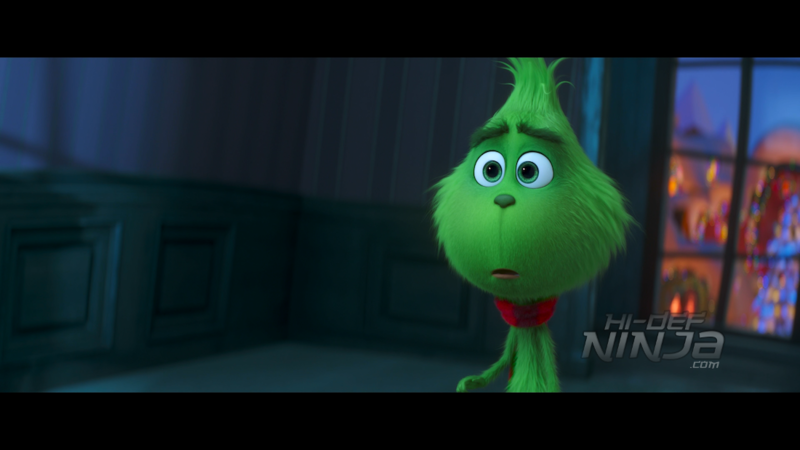 -My Earliest Grinch Memories: The cast and crew reminisce about their earliest experiences with The Grinch. 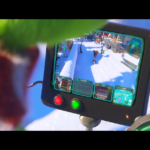 -Grinchy Gadgets: The Grinch’s tools that he uses are examined. -Lyric Video: The lyrics for “You’re a Mean One, Mr. Grinch” come on screen during the song. -Lyric Video: The lyrics for “I Am the Grinch” come one screen during the song. 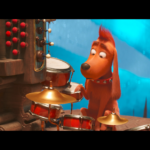 -Songs from His Little Heart: This is with composer Danny Elfman and how music is symbiotic with the movie. 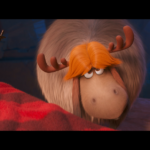 -Any Who Can Draw: You can learn how to draw The Grinch, Max, and Fred featuring Mark O’Hare. -Christmas Around the World: This is a quick look at some traditions from around the world. -Cindy Lou’s Yule Log: This is a fireplace scene with some visits from Cindy Lou and sometimes The Grinch. -Production Babies: These are the babies born while the film was being made. 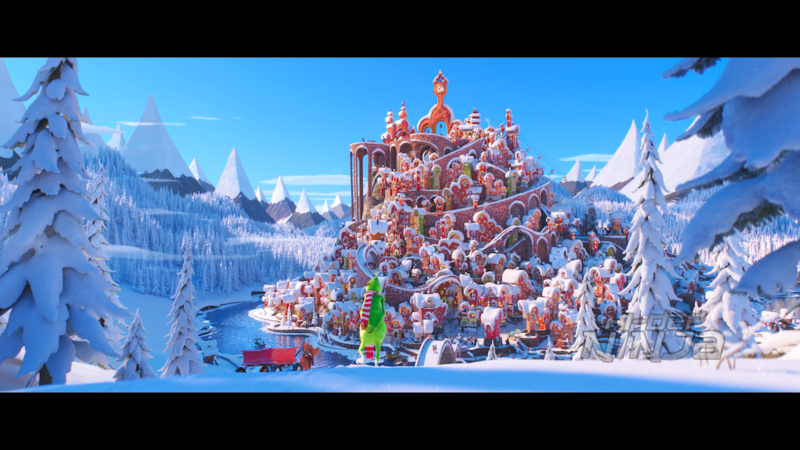 THE GRINCH is a good addition to Illumination’s library as well as movies based on the book. It is a much more modern take with humor that parents can easily relate to. The voice actors have been chosen well and suit the characters that they portray. As for the release, the UHD has an excellent video transfer and an audio mix to match. It is also nice that the Atmos mix is on the Blu-ray as well. There is a decent set of extras with some activities for kids and some things for adults. I really enjoyed the movie and I recommend checking it out.